There was a lot of talk last week about Microsoft putting its browser Internet Explorer out to pasture. If you missed the news — hard to do for anyone with even a passing interest in technology, but not impossible — the software giant announced that it was no longer going to support any of the legacy versions of the browser and would only continue making updates to its latest version, IE 11, for a limited time. Instead, the company was going to focus on its new browser, Microsoft Edge, which comes with Windows 10. The story obviously prompted fits of nostalgia, memories of times when the Internet was slower and graphics a little clunkier. But now that the moment of reflection has passed, it’s time to talk about the implications of Microsoft’s move, because there are some, and what those might mean for you. It’s time to move to IE 11. 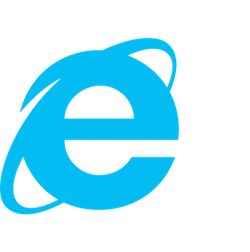 While Microsoft is retiring all versions of Internet Explorer up to IE 10, they are also making sure that the version of IE they will support — IE 11 — will be compatible with all versions of Windows as far back as Windows 7. In other words, unless you are running legacy applications that won’t work without an older version of Internet Explorer (And, if you are, then you probably need to take a close look at your stable of current applications.) then you have no reason to not upgrade to IE 11. Embrace the better browser. Microsoft has done a good job — some might argue they’ve overdone it — of pushing people toward Windows 10. Many who haven’t upgraded are seeing daily reminders that a new version of the operating system is available. There are plenty of reasons to hesitate when it comes to upgrades: Bugs in early versions; the software compatibility we’ve mentioned. But, if losing Internet Explorer was one of the reasons for you, it shouldn’t be. The Edge browser that comes with Windows 10 is proving to be a high-quality successor in regards to both security and development. Stiffen your defenses. Now, for those who just can’t make the upgrade, you are going to be stuck, at least for a time, on software that’s unsupported and increasingly vulnerable. It’s going to be up to you to stop people from exploiting your network. First and foremost, make sure you’re running the latest and greatest (and final) version of IE and its accompanying OS. In addition, you’ll need to have the tools in place to keep your network as secure as possible. Start with the most basic, old-school thing you can do: solid anti-virus software. If Microsoft won’t support this stuff anymore, at least the AV vendors will do their best to keep up with any new vulnerabilities. Of course there are other endpoint solutions, and network-based devices that can help, too. For example, some IPS/IDS devices (full disclosure: like ours) can do a good job of identifying adware and malware traffic on infected endpoints, and stopping communication to malware command and control servers.